One of the most influential make up artists in the world, Rae Morris has written the book on beauty (in fact, she’s written several of them…) Having perfected endless famous faces, she turned her hand to creating the most luxurious and effective brushes money can buy – and the results will change the way you apply make up forever. 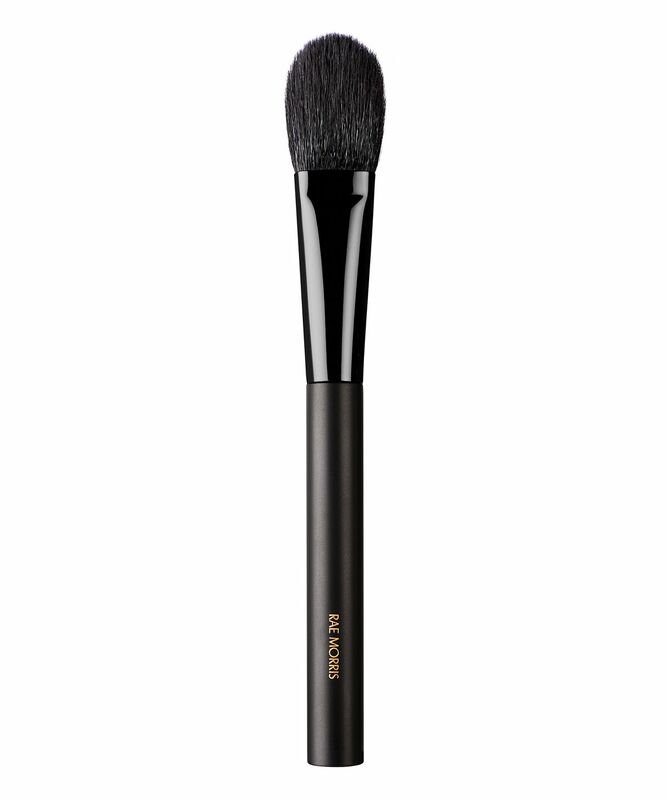 Ideal for blending eyeshadow and precisely applying contour and powder products to the rest of the face, Rae Morris herself says: ‘This is the brush I use the most for finishing make up’. Meticulously crafted by Japanese artisans, the brush features a special crescent-shaped head, a super-sleek handle and the brand’s world-first magnetic storage functionality (‘Jishaku’ means magnet in Japanese) for seamless storage and perfect hygiene. From its supremely soft head to its ultra-sleek handle, Rae Morris’ Jishaku brush range will change the way you apply make up forever. Combining the finest Japanese brush-making techniques and Rae Morris’ make up application expertise, this range is the culmination of years of testing and perfecting. 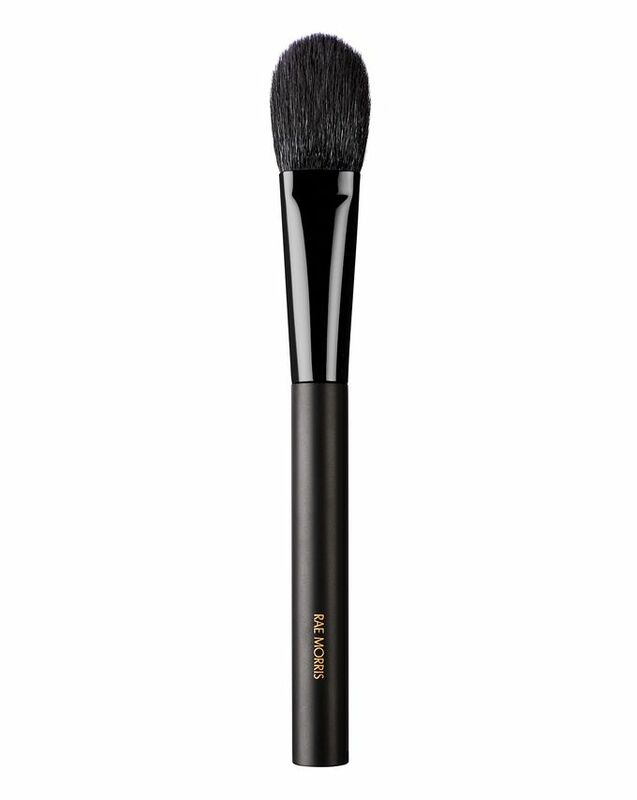 The Jishaku #6: Deluxe Pro Blender is the perfect blending brush, which is great for blending eye looks, as well as contouring and shading with powder-based products. Blending beautifully with minimal strokes, it makes a fantastic ‘all-day’ brush for powdering small areas like corners of the nose and middle of the forehead. The slim, crescent-shaped head is meticulously crafted from the highest grade Sokoho goat hair by Japanese artisans (animal cruelty-free and deemed the ‘softest I’ve ever had’ by a discerning Into The Gloss reviewer) while the sleek, rounded black handle is formed from hard maple and cherry wood. Another standout feature is the brand’s world-first magnetic functionality (‘Jishaku’ means magnet in Japanese) which means that the brushes can stand upright on any surface a magnet will hold to – including Rae Morris’ custom designed magnetic stands – making for seamless storage, ultimate organisation and perfect hygiene. Use to blend eyeshadow, contour and shade and finish make up perfectly. Took me forever to decide on buying this due to the price. This brush is packed really firm and I suspect the reason for the price. There is a slight give from the tapering of hair towards the tip which makes it beautiful to blend. This is by no means filmsy. It looks like it has been shaped rather than cut to shape. Goat Sokoho is a very soft hair. In my novice opinion, it is not inferior to blue squirrel. It picks up good amount of product (better than pure blue squirrel) and deposits colour elegantly. I use this exclusively with Kevyn Aucoin's Ariana blush (it is a warm muted orange) and highlighter Candlelight which gives a healthy glow. Is this the only brush that will work well? No, but I do no regret buying this (I got this when there was a 20% discount to keep the cost down). This brush is just ok (comparing it to the average quality of other Kumano made brushes). The handle is very nice and an upgrade from the previous version, but the quality of the brush head (the most important part) has gone way down. The older version was made out of squirrel, and new one is sokoho goat. This specific brush is very comparable to Hakuhodo J116 (also sokoho), which is literally half the price of this one. I understand the magnetic design and everything, but it doesn't justify such a big price increase, especially when you take into consideration that head quality went down. Please Rae, bring back the old heads and combine them with new handles!